Denver Mayor Michael Hancock says he went to Women's March for women's rights, equal rights -- and America - Denverite, the Denver site! 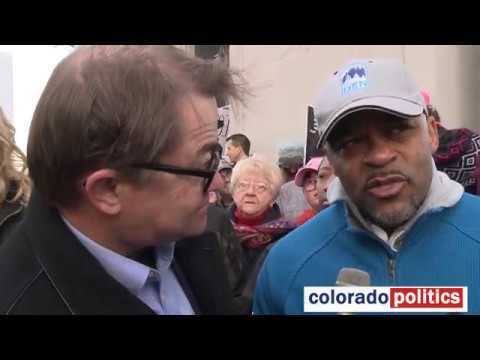 Colorado Politics reporter Joey Bunch asked Denver Mayor Michael Hancock why he participated in the Women’s March on Denver. Jan. 21, 2017, 8:56 p.m.